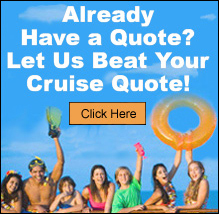 Meetings and Incentives - Just Cruises, Inc. The Meeting and Incentive Division of Just Cruises, Inc. specializes in meetings at sea aboard cruise ships. From small CEO roundtables to sales meetings to sales incentives to full ship charters, we have been a leader in the market for years. With cruise travel increasing in popularity as a vacation alternative, it also shows steady growth for the business meeting and incentive market. Major cruise lines report increases in corporate travel up to 15% of their total sales and have dedicated personnel, facilities and programs to this specific segment of their business. Trade shows can be arranged and managed, with a custom-designed display area for new products. Meetings can be enhanced with special audio and visual effects depicting the area in which the ship is sailing and can be valuable forums for presentation and exchange of information among the company's top performers. The luxurious, yet casual atmosphere of a cruise ship is an ideal locale to focus on company pride and company goals. And when meetings are over for the day, the diverse activities on board ship or in port provide a perfect opportunity for relaxation. Arrangements can be made for special onboard receptions, recognition ceremonies and themed events with the ship's experienced hospitality staff. Often corporate team-building activities can be carried over into a port visit with golf tournaments or special company Olympics at the ship's private island. Motivating employees with rewards for performance and productivity has become an increasingly important management tool. And travel has become the most desired, most powerful reward of all, even more popular than cash or merchandise. Travel has been found more effective than merchandise as an incentive because it is more emotional, an experience that can not be duplicated or stored on a shelf. It brings high producers together, provider peer recognition and information exchange. Top of the travel incentive list, for companies both large and small, is a luxury cruising to far away places. Acknowledged as the mode of travel with the highest customer satisfaction, cruising provides a memorable experience in a spectacular environment. Relaxing in the company of friends and family, award winners return to their work refreshed and motivated. The incentive award package can be for the typical 7-night cruise, or the shorter 3- and 4-night cruise, or a combination land and cruise vacation offered by most cruise lines. It can be a full-ship charter, a group of any size aboard a scheduled sailing, or a program of individual cruise travel awards. A cruise incentive award program is a win-win situation, benefiting both employer and employee. For the employer, a cruise provides higher quality at a lower cost than a land vacation. It is an all-inclusive product offering air, land and sea travel; all meals, activities and entertainment; and hassle-free travel to a number of different destinations. For the employee, a cruise provides a unique experience - the perfect vacation whether the person is resort-oriented or destination-oriented. A ship is a floating resort, visiting a number of destinations. Corporate meetings are highly individual events, in keeping with a company's goals and objectives. Utilize the personalized service of Just Cruises, Inc. Corporate Cruise Specialist to plan your next meeting ... on the sea. Some companies like to combine meetings with their annual incentive trips. Cruise ships that cater to incentive travel are ideal for this purpose, with theaters and conference rooms conveniently located onboard. Your Incentive Travel Specialist at Just Cruises, Inc. works closely with major cruise lines, all of whom have an incentive Travel Department dedicated to provide the range of special service inherent in this type of travel. Call or email Just Cruises, Inc. today for your personalized proposal for the most successful incentive program your company has ever had - a luxury cruise to reward your top performers.